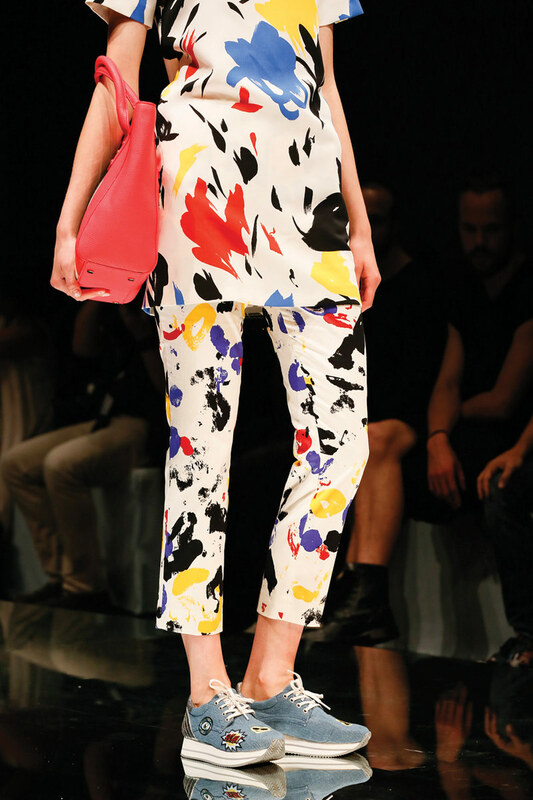 A spout of sweltering weather in Düsseldorf, Germany, wasn’t the only thing bringing the heat to the recent GDS show exhibiting Spring/Summer ’17 collections. Newness was the buzzword among 740 exhibiting brands that debuted collections across categories spanning couture to comfort. The common thread? Gender-neutral (and often unisex) styles refused to take sides. 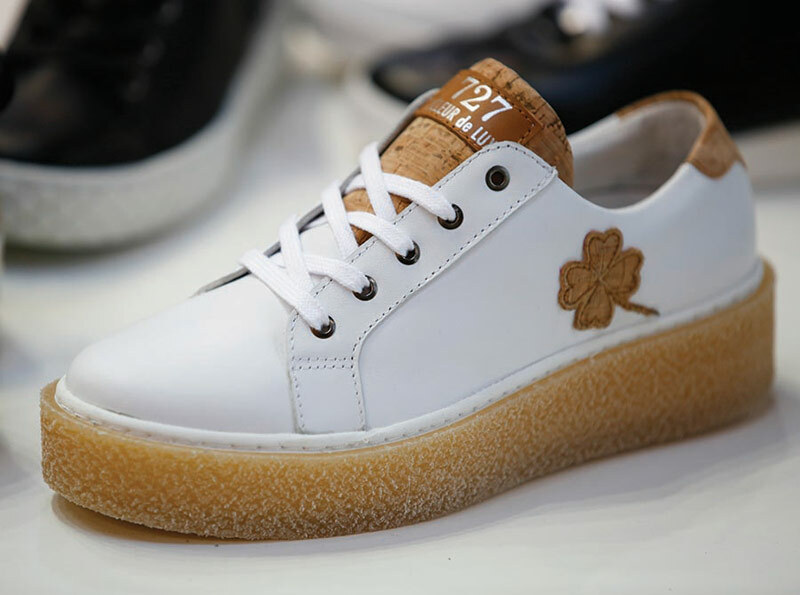 Trends like metallic brogues for women were borrowed from the men, while usually female-dominated styles—such as colorful canvas prints—were a popular trend for guys. 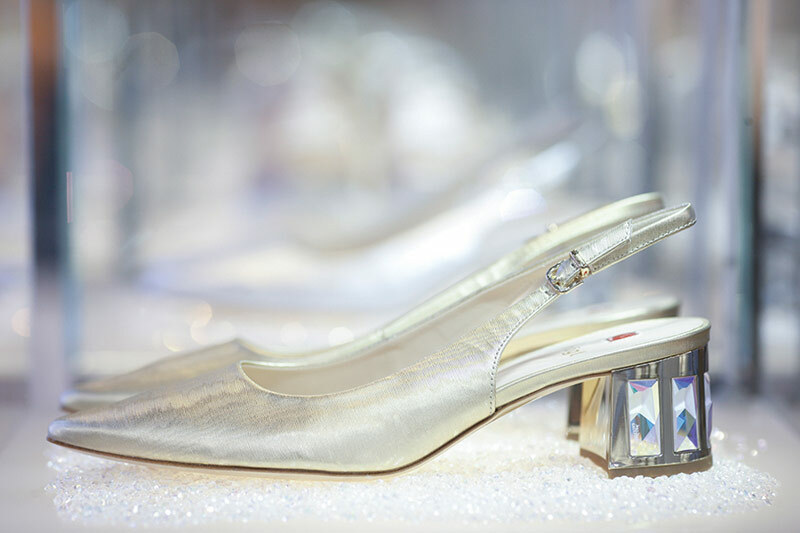 Of course, some mega-sparkle was thrown in for good measure, ladies only—for now. 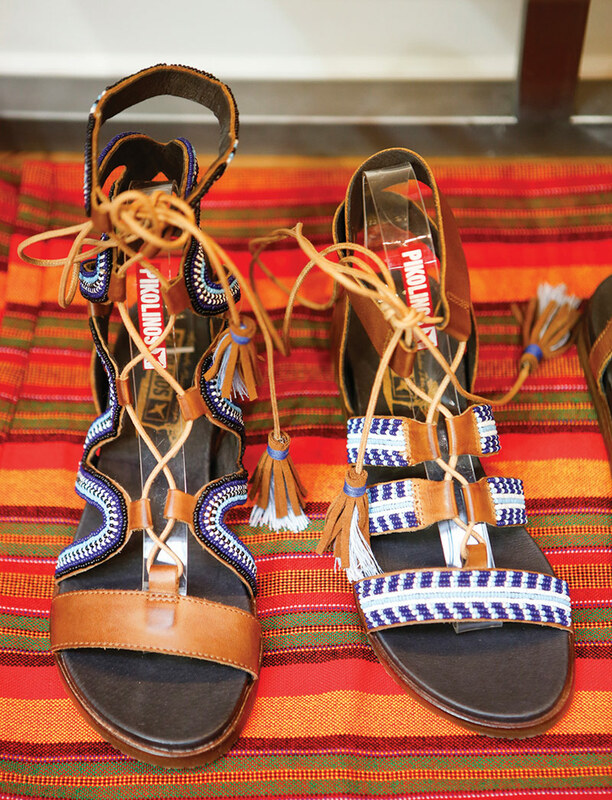 Here follows a bevy of spring trends spotted at the show—some with mass appeal, others niche-oriented but noteworthy. 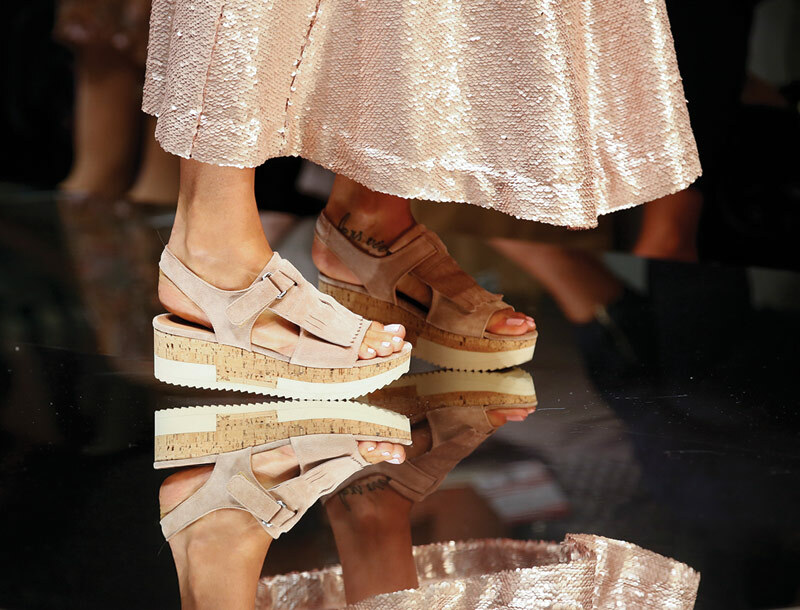 And like the multi-cultural attendance of GDS, the diversity of looks on hand mirrors the shoe fashion world we live in today: The unexpected just may have real potential. 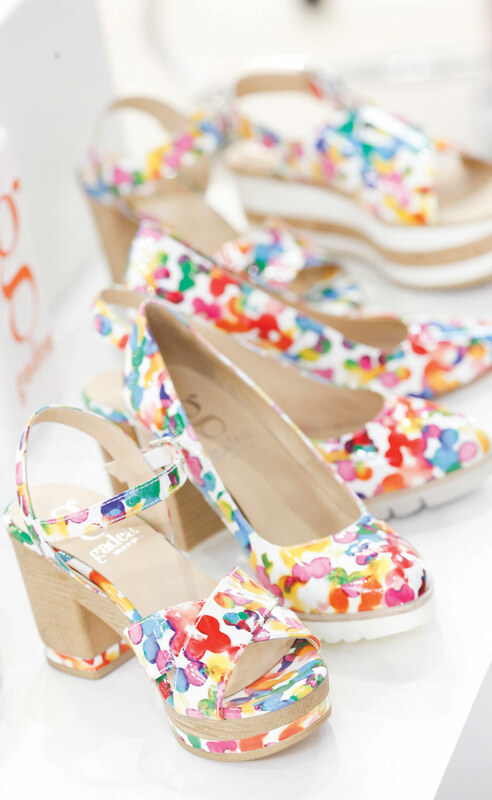 Splashes of brightly colored designs across footwear canvases bring new meaning to statement shoes. 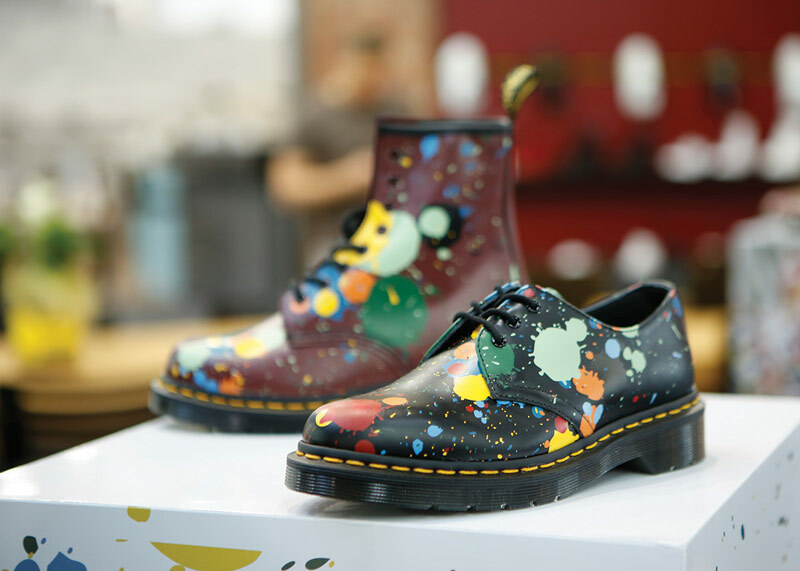 From impressionistic to folk, Pollock-approved details found their way onto an array of silhouettes, including moccasins, sneakers, heels and even combat boots. 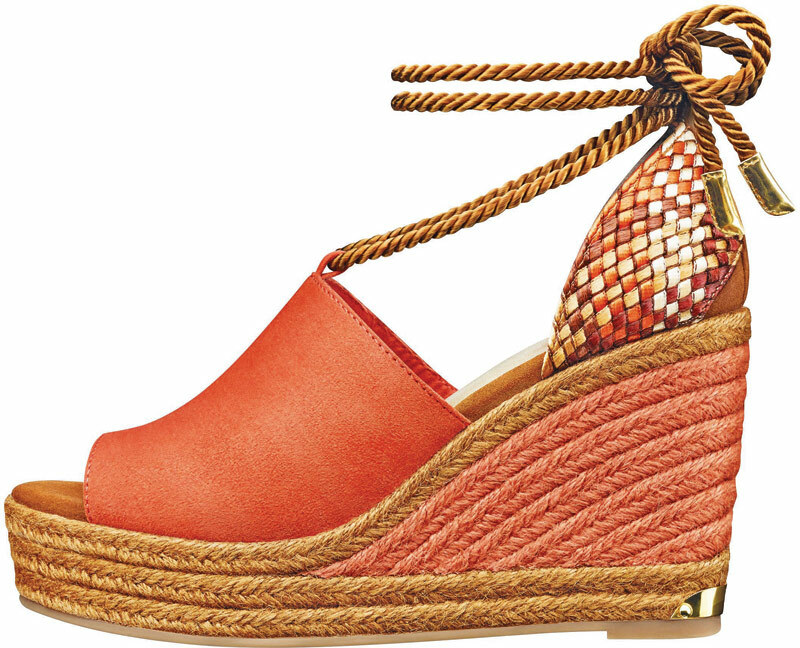 In this Snapchat age, emoji-inspired footwear is going viral. 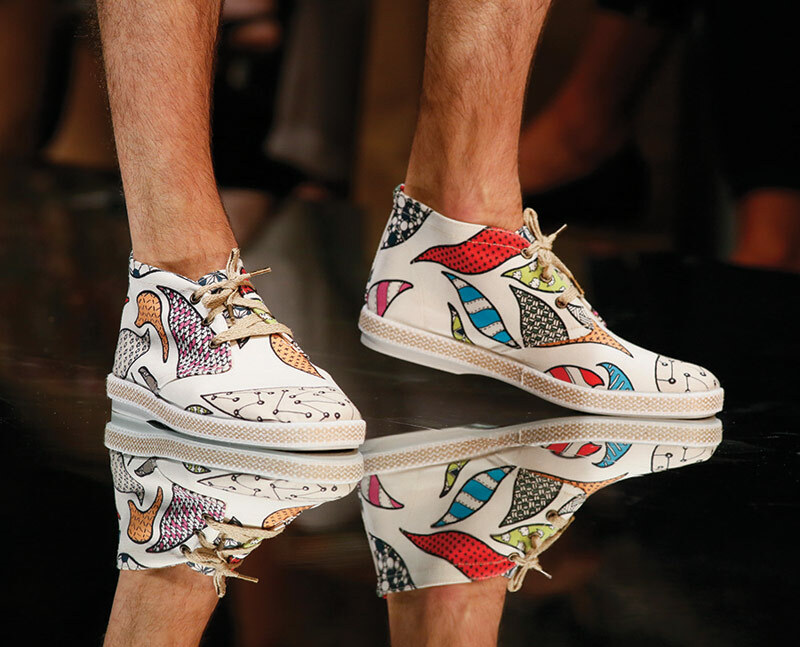 Appearing in the form of prints and patches, icons sent a loud message on sneakers, espadrilles and bags. 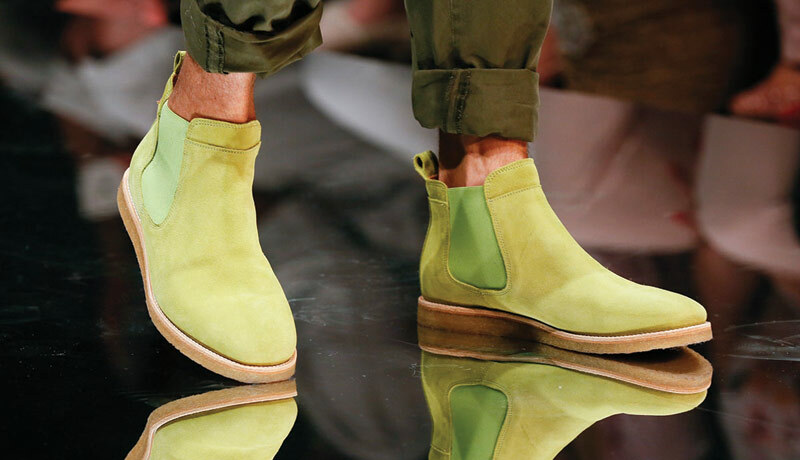 Guy styles are bright enough to make you squint in silhouettes ranging from Chelsea boots and chukkas to boat shoes and even oxfords. The ’80s-era trend spans a range of hues with lime green and bright turquoise leading the spectrum. 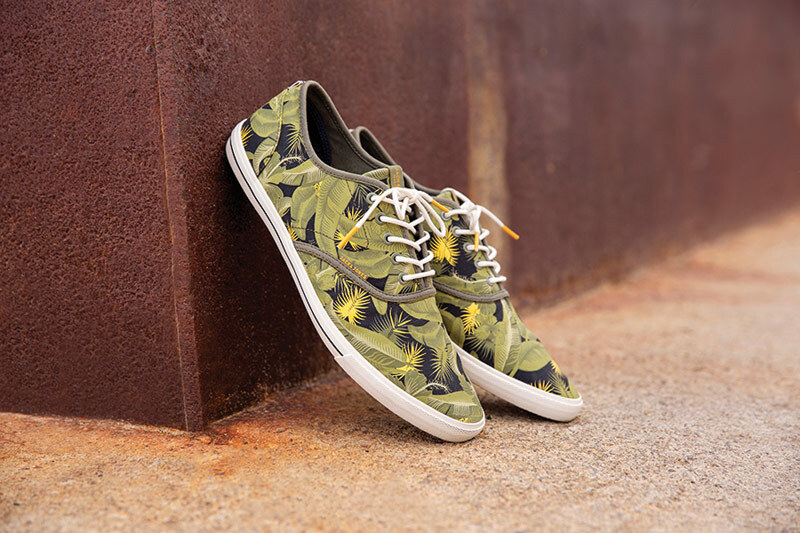 Previously reserved for classic checkered, the season presents an array of canvas-printed shoes for men. 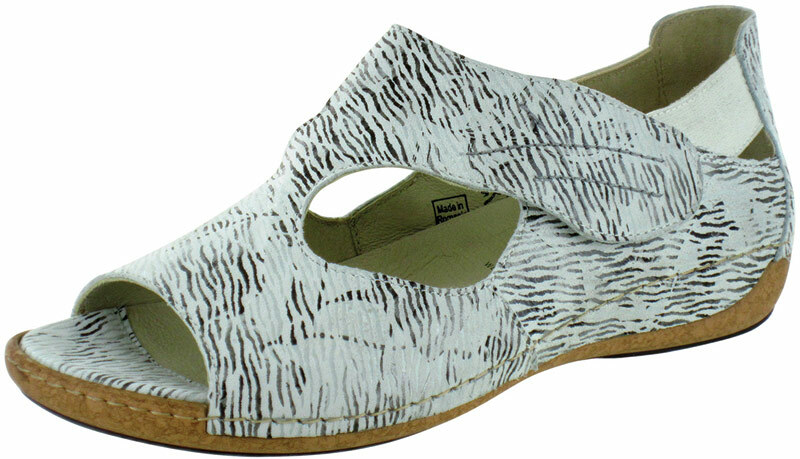 Slip-ons, desert boots and sneakers are splashed with graphic geometrics and even florals. 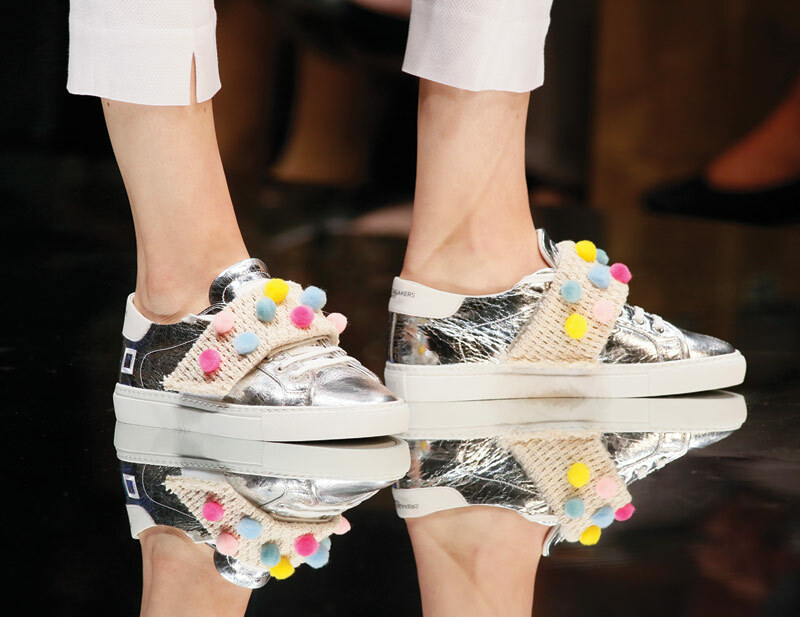 From classic loafers to unexpected flatforms, sneakers and heels, the embellishment of Spring ’17 is dapper kiltie details. 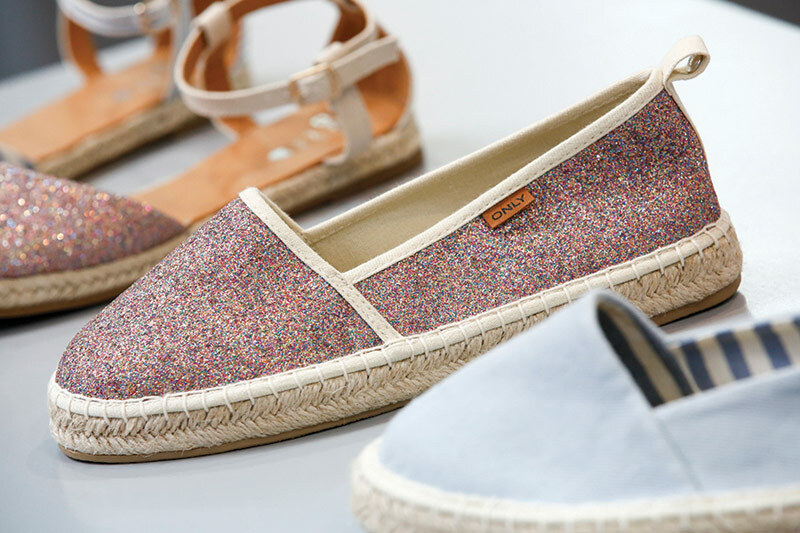 Natural elements like jute and raffia may be expected on espadrilles, but brands add glitter and metallic into the mix on this classic silhouette for spring. 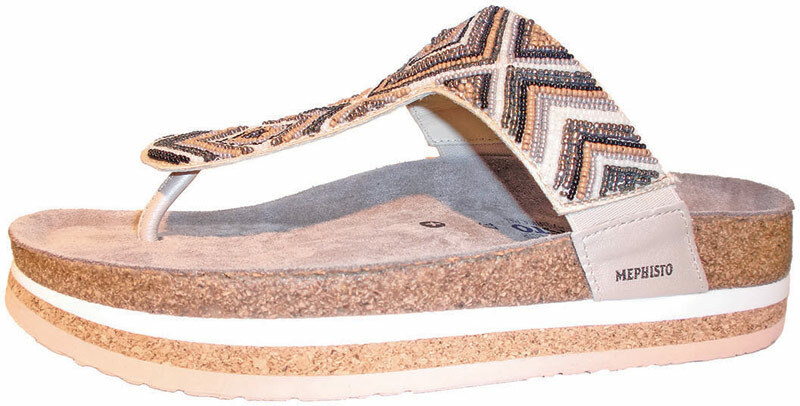 Because why blend in when you can sparkle? 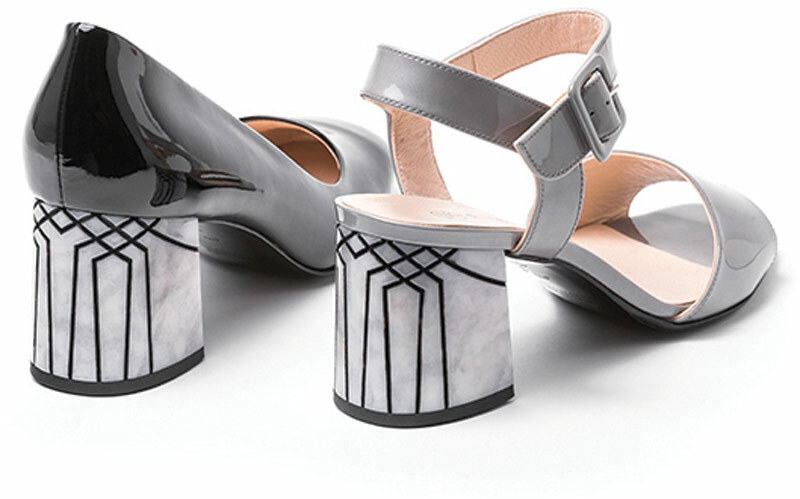 Block heels provide a sturdy base, while architectural details (geometric constructions, Art Deco patterns and mirrored ornamentation) raise the bar on style. 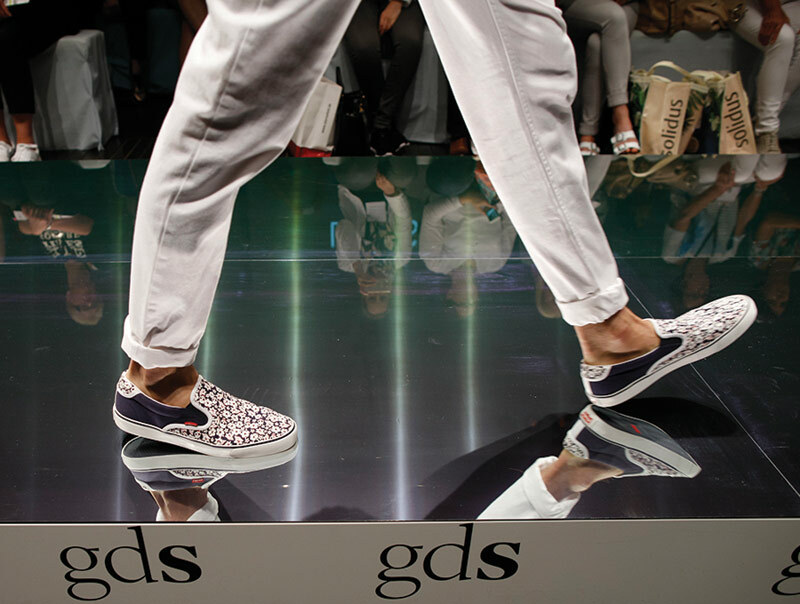 The world is getting smaller, and the proof is in the plethora of globally inspired designs at GDS. 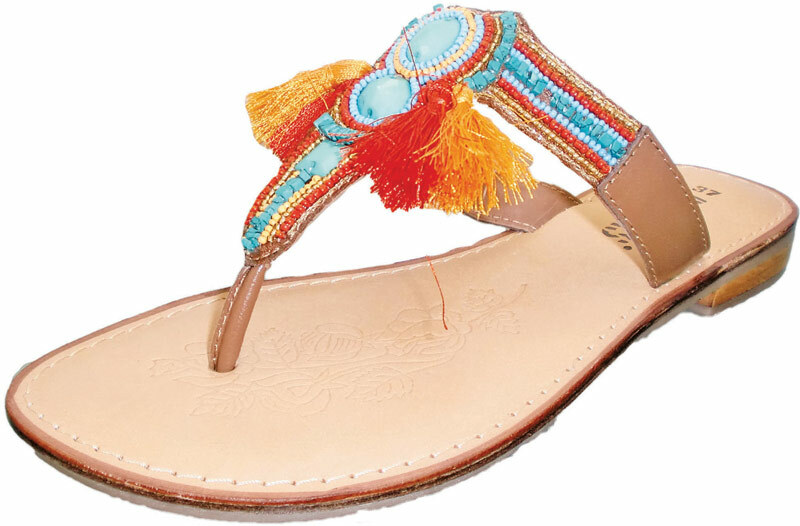 Weaving, beadwork, pom poms and ethnic patterns once reminiscent of distant lands showed across a broad range of sandals, wedges and loafers. Athletic is no lowbrow category abroad. 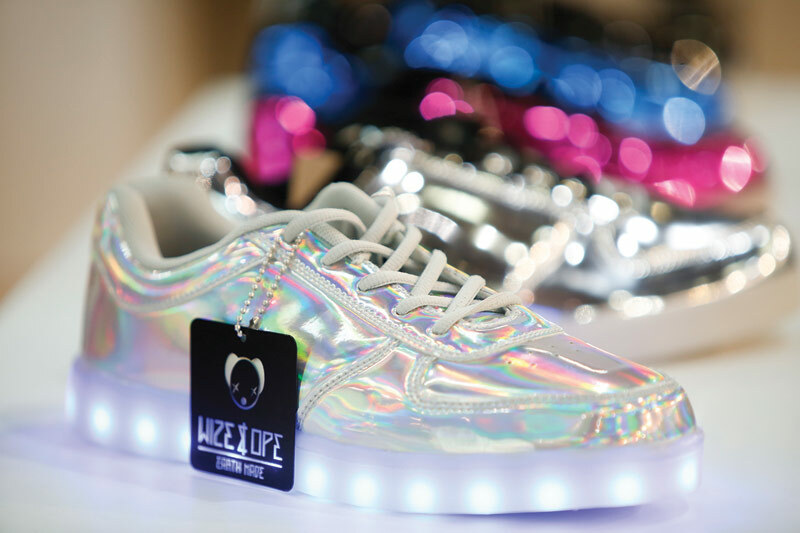 Luxe sneakers featuring rich leathers and fashion accents like pom-poms, LEDs and even heels stood tall. 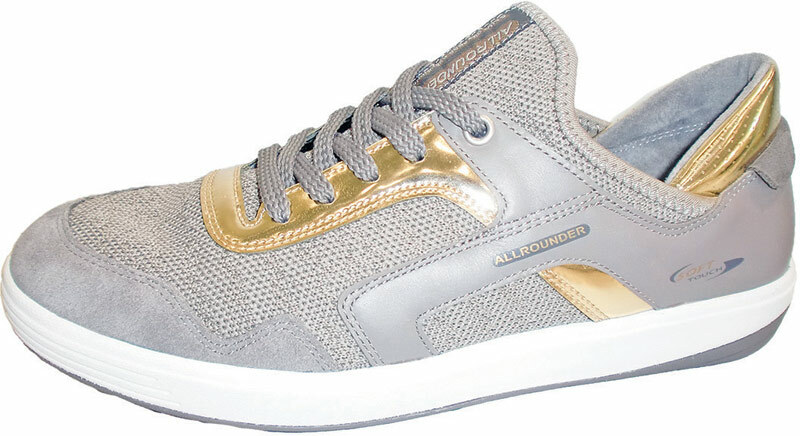 The brogue may have been introduced for dudes, but leave it to the ladies to bring them up to date in the 21st century with high-shine metallics and sparkly snake prints.